Nissan has announced details about its 2017 Nissan GT-R, which the company claims to have been improved in a number of ways. Straight away, the Japanese company has increased the prices of the sports car, which will now cost $111,585. Thankfully, the figure includes the destination charge which comes in at $1,595. This means that the price of the 2017 Nissan GT-R has increased by a whopping $8220 compared to the top end version from 2016. The prices announced are applicable for the 2017 Nissan GT-R in the premium trim, while the vehicle will continue to be available in three different variants. Unlike offerings from the likes of Porsche, Nissan does not tend to offer customers a lot of options at their disposal. The trend continues with the 2017 Nissan GT-R, which will be available with options to customize the paint job or opt for an interior package. One of the most expensive in the options list is the Super Silver paint, which comes in at a hefty $3000. Options like the blaze metallic and Pearl White colors are comparatively cheaper at $1000 each. For those looking to spice up the interiors, a $4000 option in the form of the premium interior package is at the disposal. The package includes semi-Aniline leather, which may help take away some of the disappointment of having a boring interior in the eyes of many. If one has to keep the 2017 Nissan GT-R in pristine condition everywhere, floor mats are available as an option for $295. Nissan has certainly improved the vehicle in terms of the specifications department. The vehicle may use the same 3.8-liter V-6 with twin turbos, but it now boasts more power than ever before. Power has been slightly increased to 565 bhp, while torque figures are now at 467 lb-ft. Nissan claims that the car is even better in corners since the chassis has been improved in terms of stiffness. The Nissan GT-R already had one the impeccable gearboxes around; even that has been improved to offer more slick and quick shifting experience. 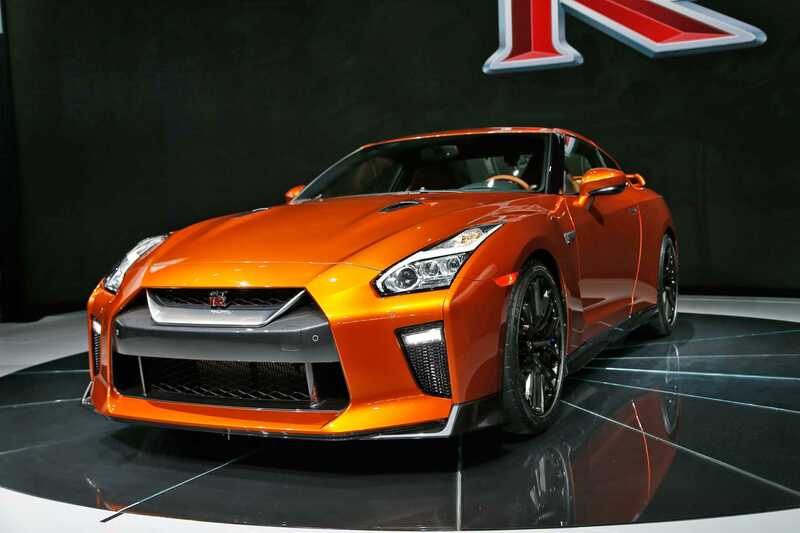 Aside from introducing the regular Nissan GT-R, the company also came out with the GT-R Nismo. This vehicle is primarily intended for track purposes and it produces a whopping 600 bhp from a similar engine. Since his reintroduction a few years ago, the Nissan GT-R has been one of the best value for money sports cars around. Previous Previous post: Samsung Galaxy Note 6/7 Launch News Reports – Is Samsung Skipping a Digit?